How Charming! 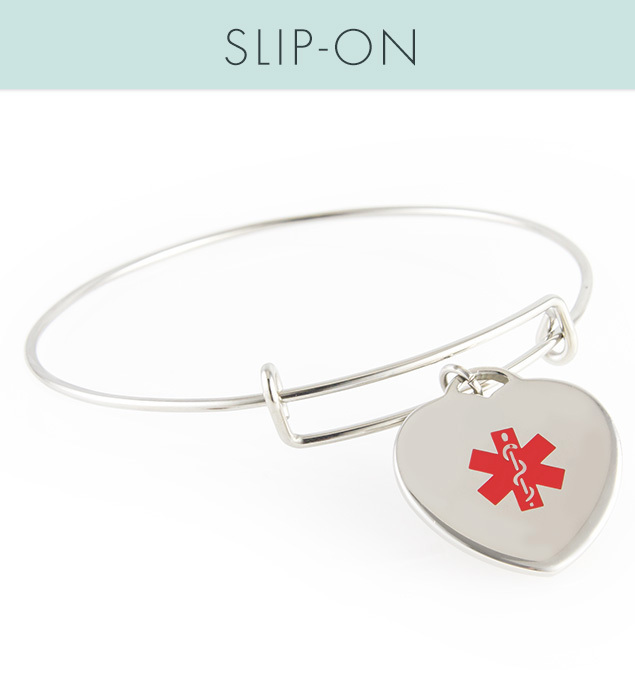 Keep your most important information right at hand with our Liz Charm Bangle Medical ID. This water-friendly, stainless steel bangle bracelet includes a matching medical ID charm featuring a bold, red medical caduceus symbol on the front, which alerts medical personnel to your information, engraved on the back.